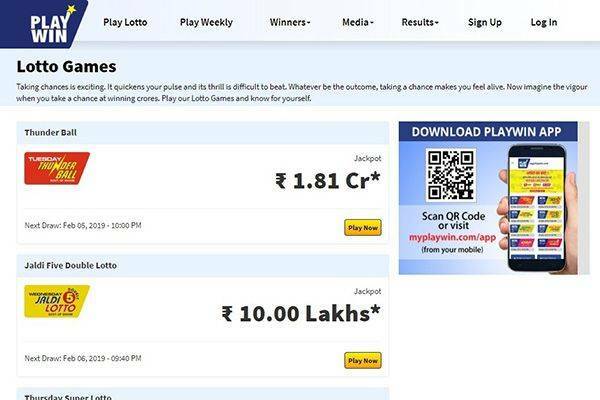 MyPlayWin lottery was launched in 2001 was the first ever lottery company to sale their lotto tickets online in India. 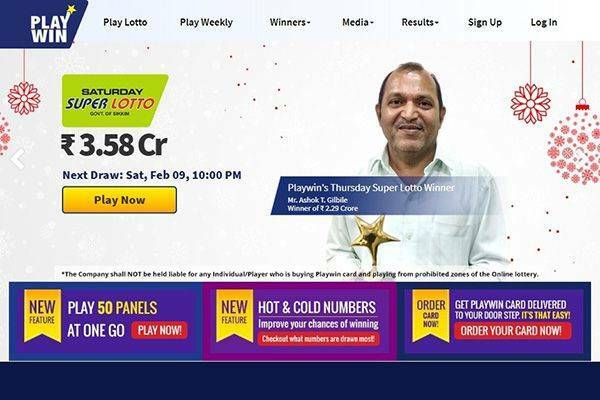 They provide their players with the chance to win big in five types of lottery on India which are the Jaldi 5, Jaldi 5 Double, Thunderball, Thursday Super Lotto and the Saturday Super Lotto. Since its launching in 2001, Playwin has had over five thousand millionaires from their gaming site. 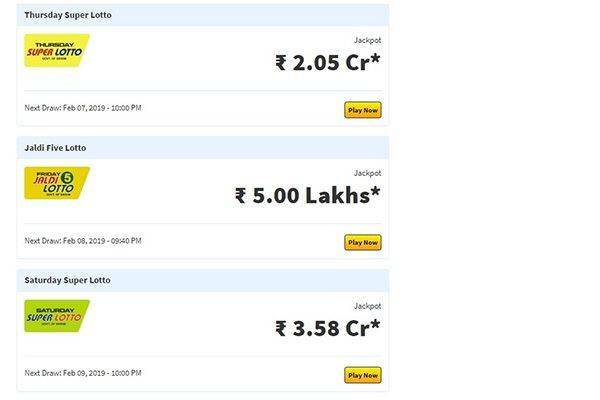 The lotteries draw times as stated by the website are Jaldi 5 on Fridays, Jaldi 5 double on Wednesday, the Thunder ball on Tuesday, the Thursday super Lotto as the name implies on Thursdays and the Saturday Super Lotto on Saturdays. The site’s reputation is quite reliable, it provides its players with varieties of games to choose from and it has produced a lot of winners since it was launched. 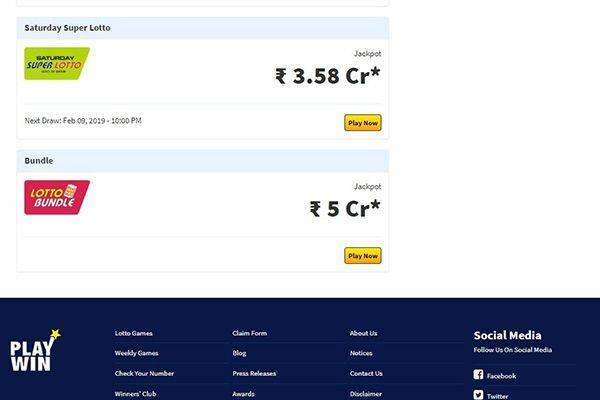 Although players have to be a resident of India to participate even though they did not explicitly state it on the site but said you need an India resident permit to collect your winnings. Even for play from India, the games are only allowed in two states – the state of Maharashtra and Goa. My Play Win offers lottery players about five types of games which are the Jaldi 5, Jaldi 5 Double, Thunderball, Thursday Super Lotto and the Saturday Super Lotto. 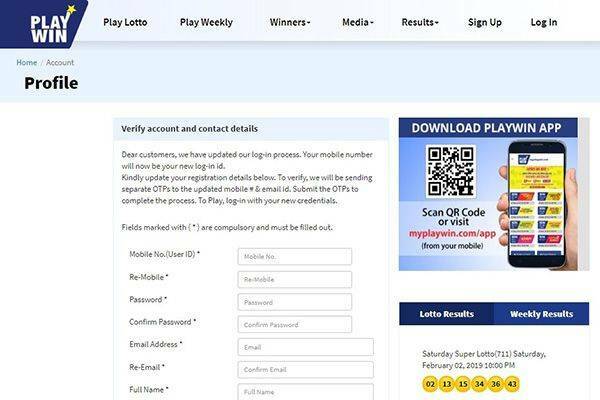 Before players can participate in any of the following lottery games on the website, they have to buy the lottery tickets online using a Playwin card they bought from a designated lottery retailer. These cards are of different values usually in Rs. 200, 500, 1000 and 5000 and they are the online payment method. The lottery tickets can also be bought from a lottery retailer, fill the necessary numbers on the play slip and give it back to the retailer who will then give the player a receipt. My Playwin is a brand owned and regulated by the gaming company Pan India Network which is part of the Dollar Essel Group. The Pan India Network is a company that provides business infrastructure data communication and services that ensure that the online lottery network is safe and secured. It is quite easy to get tickets for their games as they ensure that their tickets are available both online and in retail stores for those that do not have a Smartphone. The games are arranged according to the winnings and they are easy to find and play, MyPlayWin does not offer any type of instant win games or scratch games. The products they offer include single line and jackpot hunter and some of the features include a subscription. Playwin have a mobile app that is only available on the App Store. They do not offer any types of games on their site apart from the lotteries. There are no stated promotions found on the site. Deposits are not actually made directly into the users account instead there are two options through which the user can purchase tickets and participate in the lottery of their choice. The first option is through an authorized retailer, where the player goes to an authorized retailer and purchase a lottery play slip, fill in their chosen numbers and give it back to the retailer who will process the tickets and provide the player with a receipt. The second option is to buy the tickets online but the player still need to purchase a Playwin card from an authorized lottery retailer through mail or phone messages. The cards usually comes in four values, which are the Rs. 200, 500, 1000 and 5000 this is now used as the payment means for the online game. For smaller winnings, the players account will be credited from there the player can cash out or use it to purchase more tickets. For larger amounts the player will have to come collect it themselves with their Indian residency permit proof. The time limit for players to collect their prize before it is removed is 90 days and for winning above 10,000 are liable to tax deduction. There’s a FAQ page for My Play Win’s online lottery players to get quick answers to urgent question. is available on the site. There’s some information available over video on their YouTube channel. For issues that require a personal connection with customer support there’s a contact us page for reaching a representative of MyPlayWin. Is My Play Win legitimate or fraudulent? My Playwin is a brand owned and regulated by the gaming company Pan India Network which is part of the Dollar Essel Group. It sounds legit and as long as you are a citizen of Indian and above 18 years you can play and stand a chance to win in some of the country’s biggest lotteries. The site’s reputation is quite reliable, it provides its players with varieties of games to choose from and it has produced a lot of winners since it was launched in 2001 over five thousand millionaires from their gaming site to be specific.